We’d love your help. Let us know what’s wrong with this preview of A History of Palestine 634-1099 by Moshe Gil. This is the first comprehensive history of Palestine from the Muslim conquest in 634 to that of the Crusaders in 1099. Against a backdrop of the political and military events of this period, Professor Gil portrays the everyday life of Palestine. 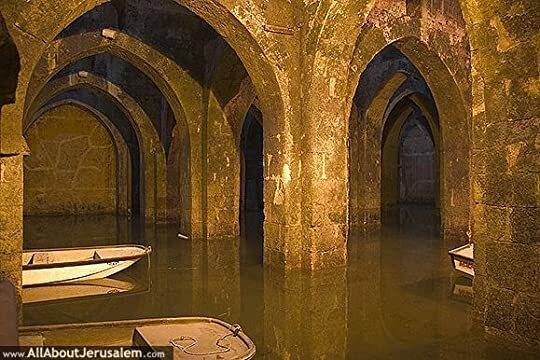 He looks at its economic activities including agriculture, exports and tax, as well as the religious status of Jerusalem and the This is the first comprehensive history of Palestine from the Muslim conquest in 634 to that of the Crusaders in 1099. Against a backdrop of the political and military events of this period, Professor Gil portrays the everyday life of Palestine. He looks at its economic activities including agriculture, exports and tax, as well as the religious status of Jerusalem and the customs of the Christian populace. To ask other readers questions about A History of Palestine 634-1099, please sign up. Description: This was the first comprehensive history of Palestine from the Muslim conquest in 634 to that of the Crusaders in 1099. It is a 1992 translation and revised version of volume I of Palestine During the First Muslim Period which was published in Hebrew in 1983 and presents an authoritative survey of the early mediaeval Islamic and Jewish worlds. Based on an impressive array of sources including documents from the Cairo Geniza collection, the author examines the lives of the Jewish, Ch Description: This was the first comprehensive history of Palestine from the Muslim conquest in 634 to that of the Crusaders in 1099. It is a 1992 translation and revised version of volume I of Palestine During the First Muslim Period which was published in Hebrew in 1983 and presents an authoritative survey of the early mediaeval Islamic and Jewish worlds. Based on an impressive array of sources including documents from the Cairo Geniza collection, the author examines the lives of the Jewish, Christian and Muslim communities of Palestine against a background of the political and military events of the period. Specific attention is paid to the history of Palestinian Jews under Muslim rule. An essential resource for students and specialists of mediaeval Islamic and Jewish history, religious studies and for anyone interested in the history of the Holy Land. 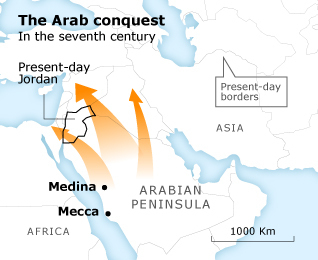 Opening: The Muslim conquest of Palestine was not an expeditious event, at any rate not in present-day terms. Cor Blimey Missus! This is huge, dense, scholarly and, let's face it, completely off-putting. Until you get into it that is, and if you skim through to the chapters you are really interested in learning about, Gil's breeze block is probably the best there is on the subject. This history is dripping with buboes and blood. From wiki: The Battle of Yarmouk was a major battle between the army of the Byzantine Empire and the Muslim Arab forces of the Rashidun Caliphate. The battle consisted of a series of engagements that lasted for six days in August 636, near the Yarmouk River, along what today are the borders of Syria–Jordan and Syria–Israel, east of the Sea of Galilee. The result of the battle was a complete Muslim victory which ended Byzantine rule in Syria. The Battle of Yarmouk is regarded as one of the most decisive battles in military history, and it marked the first great wave of Islamic conquests after the death of Muhammad, heralding the rapid advance of Islam into the then Christian Levant. SIEGE OF JERUSALEM 637: Following the Muslim conquest of Jerusalem, Jews were once again allowed to live and practice their religion in Jerusalem, 8 years after their massacre by the Byzantines and nearly 500 years after their expulsion from Judea by the Roman Empire. 691: the Umayyad caliph Abd al-Malik commissioned the construction of the Dome of the Rock over a large outcropping of bedrock on the Temple Mount. 747: Devastating earthquake where the eastern and western sides of the Dome of the Rock collapsed.